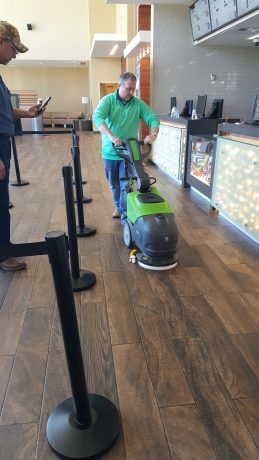 IPC Eagle’s CT15 and SmartVac 464 Helping a Movie Theater with its Cleaning Operations! 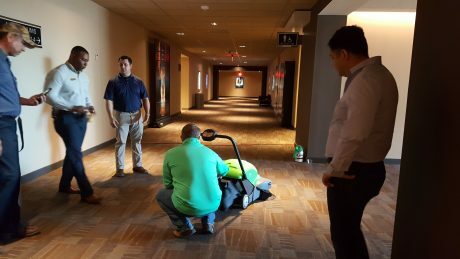 IPC Eagle’s SmartVac 464 vacuum sweeper and CT15 automatic scrubber were demonstrated at a movie theater in the southern region of the United States recently. 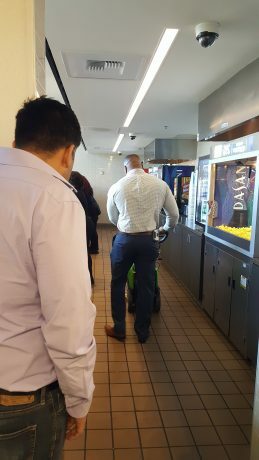 Both machines are compact, which makes them ideal for areas that have tighter, narrower spaces to be cleaned such as behind counters, bathroom stalls or hallways. 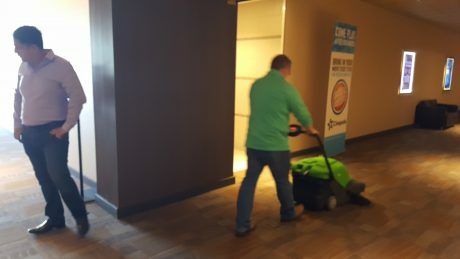 The SmartVac was used to vacuum/ sweep the carpeting in the theater as it is a great substitute for an upright vacuum. At only 57 dB, the SmartVac is extremely quiet, avoiding the distraction of loud noises during a movie. The SmartVac helps reduce cleaning time significantly as well and is 10x faster than using a standard upright vacuum. For the hard floor surfaces, the CT15 automatic scrubber was used. The CT15 has a small design, at only 14 inches, which makes it easy to fit in to spaces like behind the concession counter. The handle is designed with the ability to be adjusted so that it can squeeze under tables, chairs or other low surfaces. As well as the SmartVac, the CT15 helps reduce the time needed to clean surfaces. It can clean up to 14,000 square feet an hour, which is about 8.5x faster than using a mop and broom. Automatic scrubbers can remove 3x the amount of dirt and grime as they don’t spread dirty water around as mops do and they can dry immediately, reducing the risk of slips and falls. 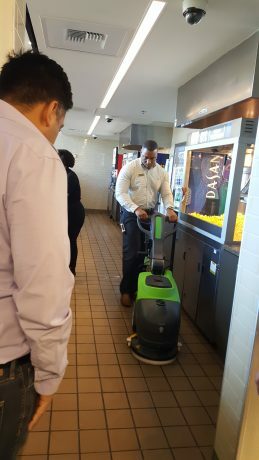 To see how IPC Eagle can improve your cleaning operations, click here to schedule a demonstration with someone on the sales team. On-the-Spot Purchase of 512 Vacuum Sweeper at Truck Repair Facility!